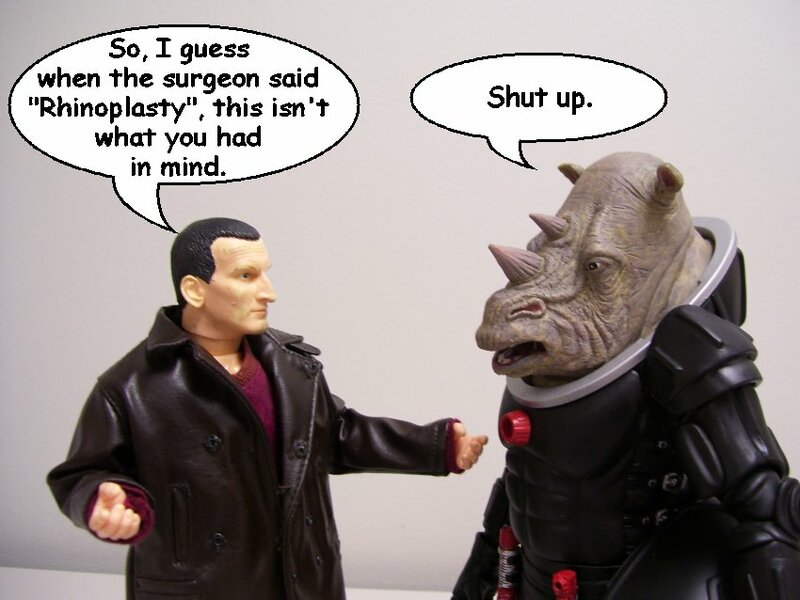 Mainly because I can just hear Eccleston saying "Rhinoplasty"
Can't you just hear him? "Rhye-no-PLAH-stee." I'm tellin ya! The word is made for him! "Al-you-mini-um!" God, I love that!